Livestreaming interactions make it local across the country. 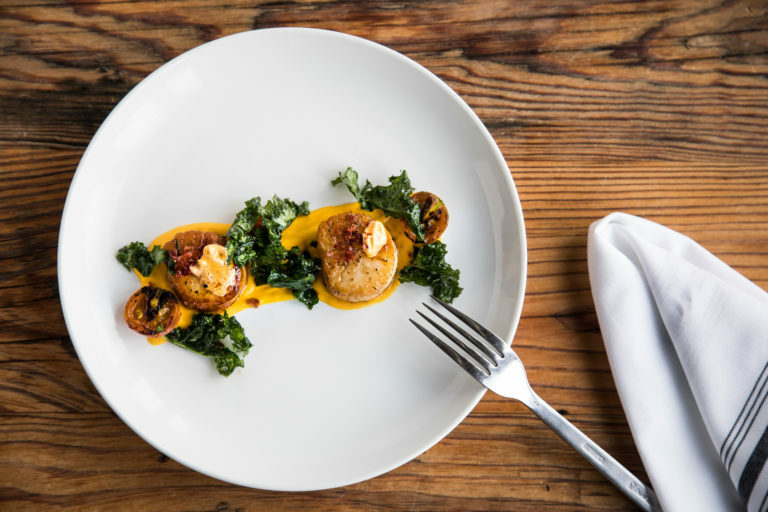 Norfolk, VA September 1, 2018- What happens when a livestreaming television crew surprises a local chef with the challenge to create a fantastic meal using a locally sourced product? It’s Kitchen Ambush! A livestreaming show, Kitchen Ambush, is exactly what the name implies: A live camera crew captures and streams the excitement as a local chef is challenged to use a locally produced ingredient to create an original recipe, without the chef’s prior knowledge. Livestreaming adds to the thrill, as there are no rehearsals, no second takes. The show’s slogan, “It’s better when it’s unexpected,” rings true with each episode. The live Kitchen Ambushes began in Norfolk, Virginia in August 2017. The show has since evolved into a livestreaming full production house, utilizing advanced streaming technology to connect with viewers on several social media platforms simultaneously via internet. Each episode is simultaneously shared live via Facebook, Instagram, Twitter, and YouTube. Followers are “pinged” or alerted on mobile devices when the show goes live, inviting viewers from around the globe to participate. Kitchen Ambush rides on the cutting edge of technology and is thriving in the mix of trendy food/reality shows currently seen on the internet and television. The show is rapidly gaining popularity as its crew travels to distant locations. Interactive episodes have been livestreamed via social media from around the country and Jamaica. According to the show’s Host, Vanessa Lane, a recent event hit 1.2 million viewers in 24 hours. 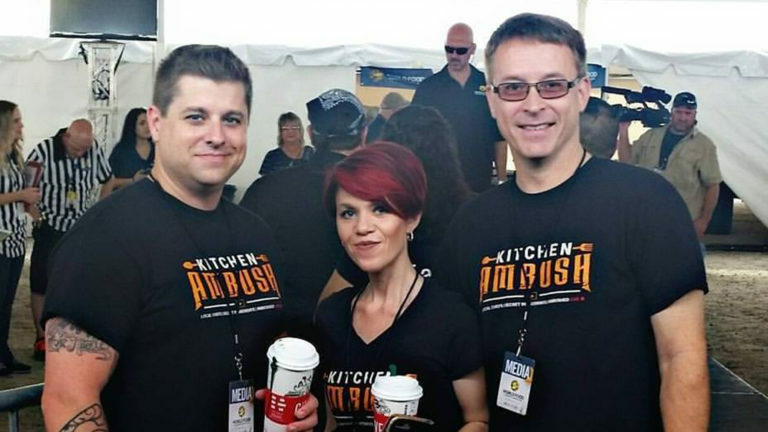 The Kitchen Ambush concept was created through collaboration between Vanessa Lane, President and Host of the show, her husband, Mark Lane, PhD, and Chef Mark Conway. Their goal is to highlight local businesses via quality, family-oriented programming. Conway explains, "Local business is the backbone of any community, the heart, soul, and spirit. They are created by families for families. We wanted to create a platform to share your local business, your family, with the world." 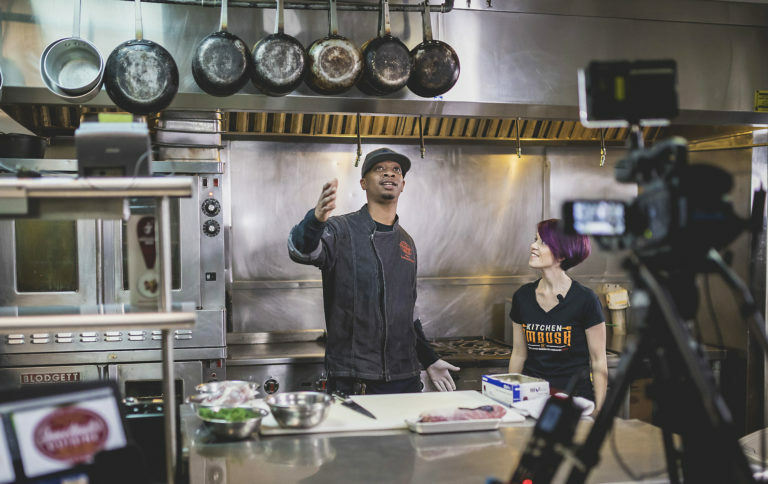 Vanessa Lane and Conway appear in each Kitchen Ambush episode, along with a featured local chef. The secret ingredient is revealed live to the local chef, and the other ingredients are limited to what the chef has available in his kitchen. Sometimes, the local chef is a member of the community rather than a professional culinary artist. Viewers and followers are invited to recommend their local favorite chefs, home-based or from a restaurant, via the Kitchen Ambush website. The show is always looking for viewers to comment with their suggestions for new concepts and guest hosts. “The livestreaming on social media makes it easier for viewers to share their input and brings them right into the action,” says Mark Lane. Upcoming events include and number of exciting chef competitions and the launch of a new series featuring Bo Jackson, acclaimed Hall of Fame athlete and owner of Bo Jackson’s Signature Foods. Episodes of Bo Jackson’s Legendary Playbook will be livestreamed from various cities around the country, and will feature products from Bo Jackson’s line of foods and products.